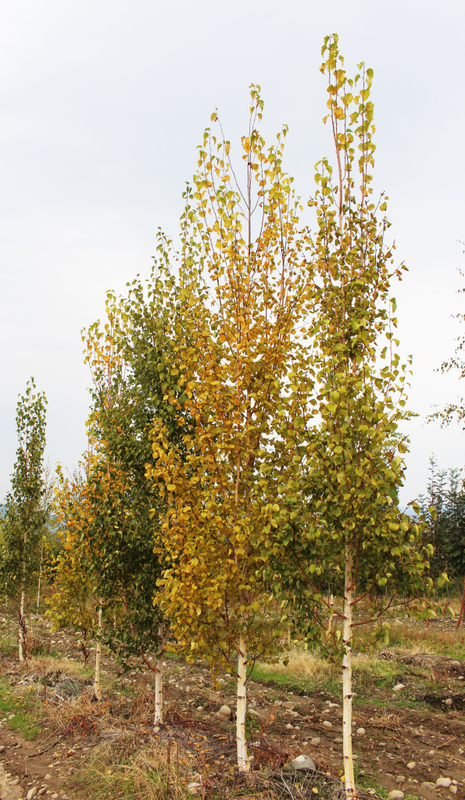 This narrow columnar birch matures to a dense pyramidal form. Medium green foliage turns bright yellow in fall. Striking white, papery bark adds year round interest. Prefers a cool, moist climate. A great accent tree.